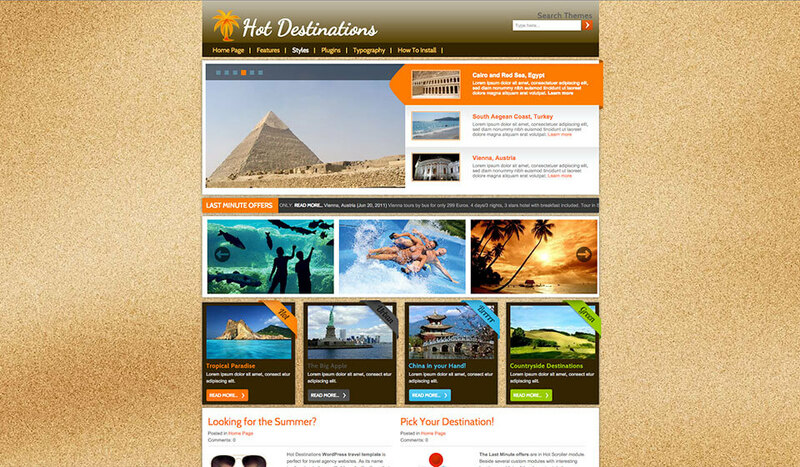 WordPress tourism theme Hot Destinations is created primarily for the travel agency websites. We named it the Hot Destinations because it puts the tourist’s destinations in focus. Since it comes with several WordPress plugins such as Hot Designation, those destinations are shown on the site in different ways. 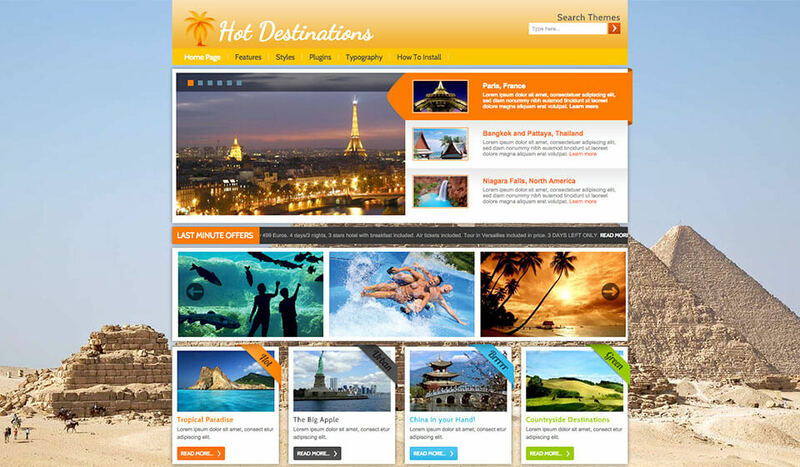 The Hot Designation plugin is used on the home page and it shows the most attractive travel destinations. The Hot Scroller plugin scrolls a line of text from the left to the right (or right to left) and in our demo we put some last minute offers in it. 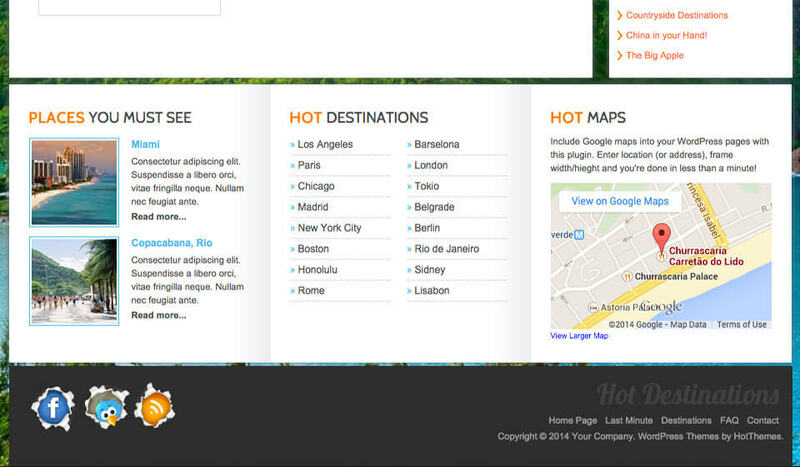 Finally, Hot Maps plugin for WordPress allows you to insert maps from Google Maps service easily. You can add the map in a widget sidebar or directly in the post or page. 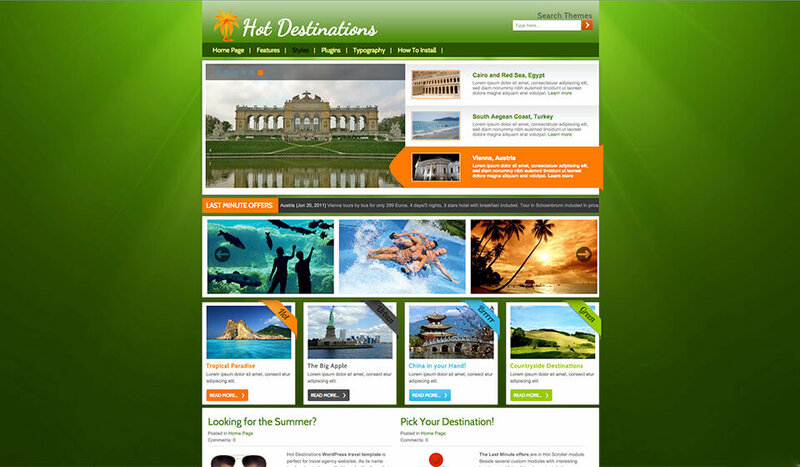 Both options are supported by the Destinations WordPress tourism theme. 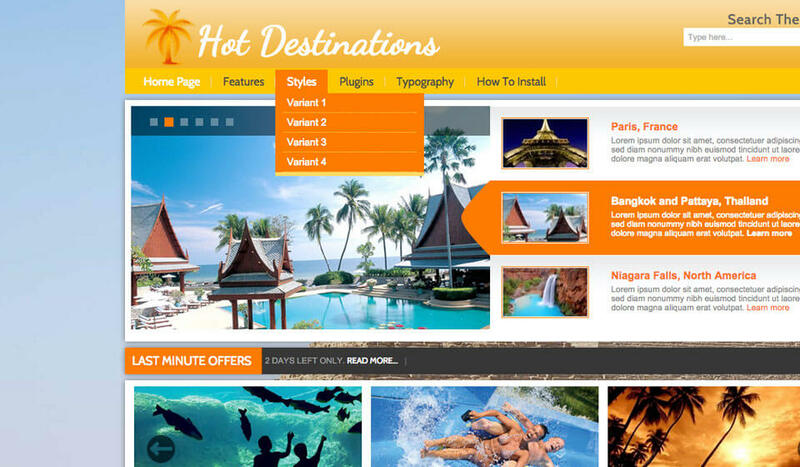 We believe that Hot Destinations works perfectly with the mentioned plugins. 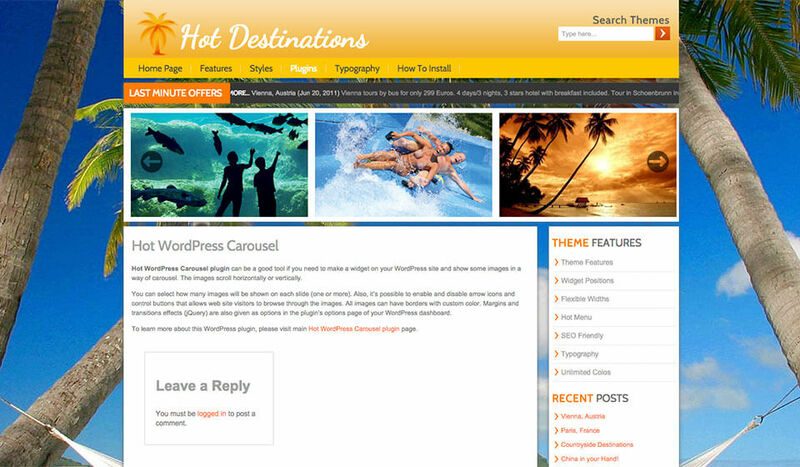 Of course, if you order this WordPress tourism theme, you would also receive all the plugins without additional costs. The animated background images make a slide show in the background of your site. Static background images and solid colors are also possible. There are 4 pre-defined styles and infinite color combination. 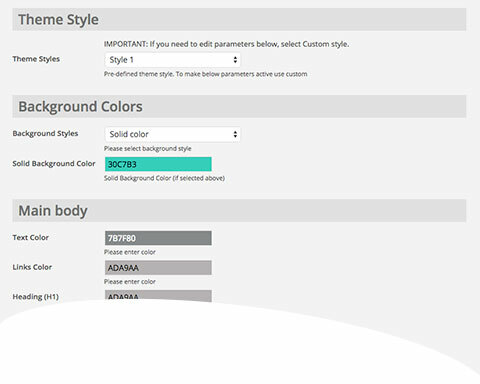 You can change any color from the theme options page using the handy color picker. 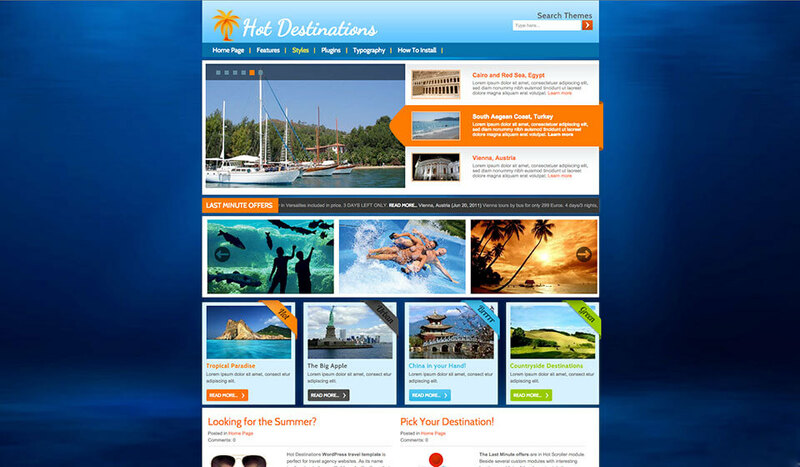 WordPress tourism theme is based on a flexible layout. User can change width of left and right columns, as well as overall theme width. User can select columns order as well: Left-Content-Right, Left-Right-Content or Content-Left-Right (default) in the theme options page. As usually, theme code is 100% based on CSS, without tables and it’s W3C compliant. Google Fonts API, Reflection, Top Panel and Back on Top scripts based on jQuery are included.